States allowing long combination vehicles (LCVs) and Twin 33s trailers are already making strides towards improved roadway safety, enhanced environmental sustainability, and more productive interstate commerce. 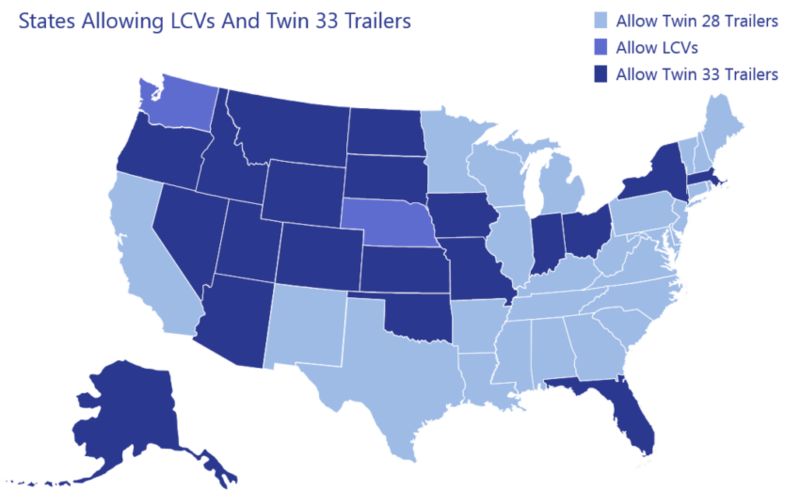 LCVs already safely operate in 22 states, 20 of which allow operation of Twin 33 trailers. Federal law permits the operation of Twin 28 trailers. America needs widespread adoption of more productive and efficient trucking equipment. All states should reap the benefits of a safe, sustainable, and reliable interstate commerce system.